Bosch and NVIDIA on Thursday announced plans to co-develop self-driving systems for mass-market vehicles. 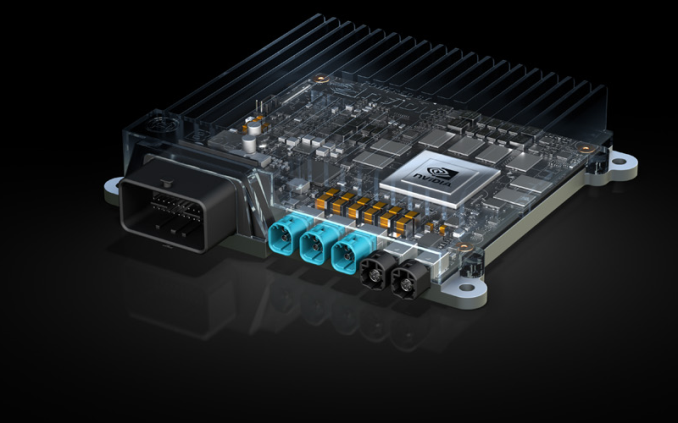 The solutions will use NVIDIA’s next-generation codenamed Xavier SoC as well as the company’s AI-related IP. Meanwhile, Bosch will offer its expertise in car electronics as well as auto navigation. Typically, automakers mention self-driving cars in the context of premium and commercial vehicles, but it is pretty obvious that, given the opportunity, self-driving is a technology that will be a part of the vast majority of cars available in the next decade and onwards. 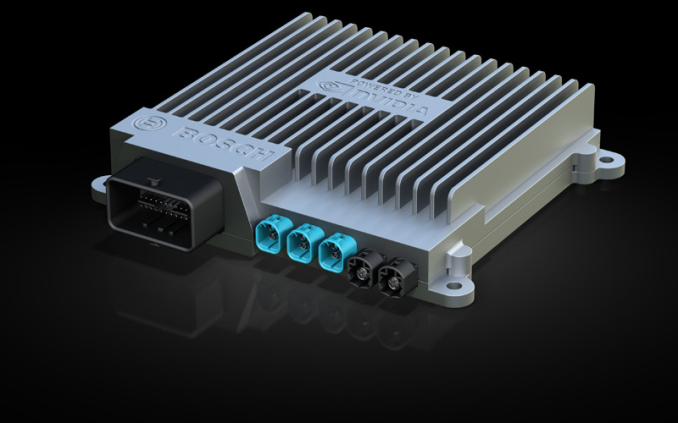 Bosch and NVIDIA are working on an autopilot platform for mass-market vehicles that will not cost as much as people think, and will be able to be widespread. To build the systems, the two companies will use NVIDIA’s upcoming Drive PX platform based on the Xavier system-on-chip, which is a next-gen Tegra processor set to be mass-produced sometimes in 2018 or 2019. From performance point of view, Xavier is now expected to hit 30 Deep Learning Tera-Ops (DL TOPS) (a metric for measuring 8-bit integer operations), which is 50% higher when compared to NVIDIA’s Drive PX 2, the platform currently used by various automakers to build their autopilot systems (e.g., Tesla Motors uses the Drive PX 2 for various vehicles). NVIDIA's goal is to deliver this at 30 W, for an efficiency ratio of 1 DL TOPS-per-watt. This is a rather low level of power consumption given the fact that the chip is expected to be produced using TSMC’s 16 nm FinFET+ process technology, the same that is used to make the Tegra (Parker) SoC of the Drive PX 2. The developers say that the next-gen Xavier-based Drive PX will be able to fuse data from multiple sensors (cameras, lidar, radar, ultrasonic, etc.) and its compute performance will be enough to run deep neural nets to sense surroundings, understand the environment, predict the behavior and position of other objects as well as ensure safety of the driver in real-time. Given the fact that the upcoming Drive PX will be more powerful than the Drive PX 2, it is clear that it will be able to better satisfy demands of automakers. In fact, since we are talking about a completely autonomous self-driving system, the more compute efficiency NVIDIA can get from its Xavier the better. Speaking of the SoC, it is highly likely that the combination of its performance, power and the level of integration is what attracted Bosch to the platform. One chip with a moderate power consumption means that Bosch engineers will be able to design relatively compact and reasonable-priced systems for self-driving and then help automakers to integrate them into their vehicles. Unfortunately, we do not know what car brands will use the autopilot systems co-developed by Bosch and NVIDIA. Bosch supplies auto electronics to many carmakers, including PSA, which owns Peugeot, Citroën and Opel brands. Neither Bosch nor NVIDIA made any indications about when they expect actual cars featuring their autopilot systems to hit the roads. But since NVIDIA plans to start sampling of its Xavier in late 2017 and then mass produce it in 2018 or 2019, it is logical to expect the first commercial applications based on the SoC to become available sometime in the 2020s, after the (extensive) validation and certification period for an automotive system.